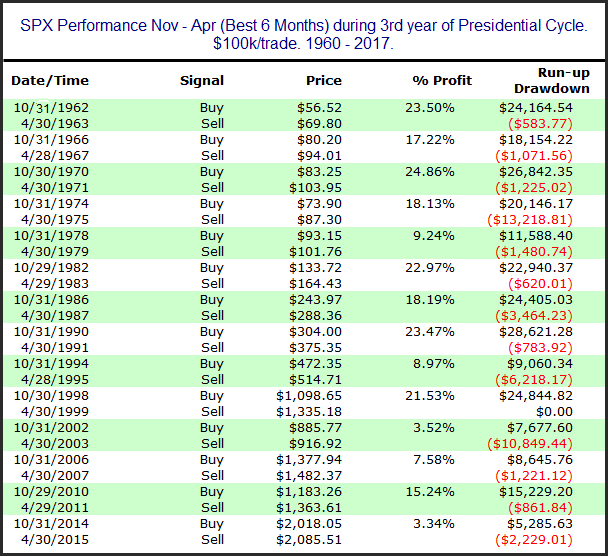 Today I decided to look at SPX performance following past mid-term elections. I did not find much that suggested a strong edge. 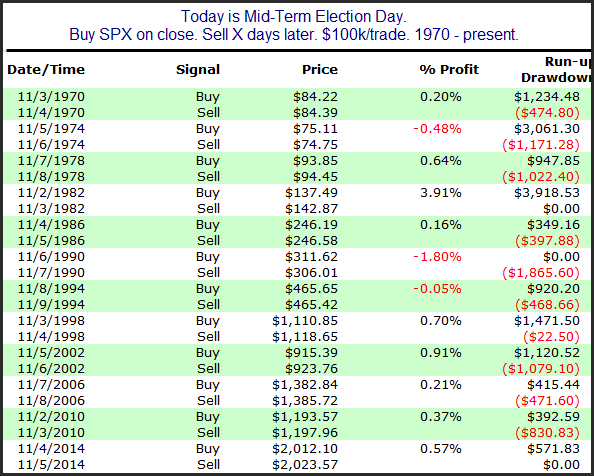 Below is a look at results since 1970 following mid-term elections. 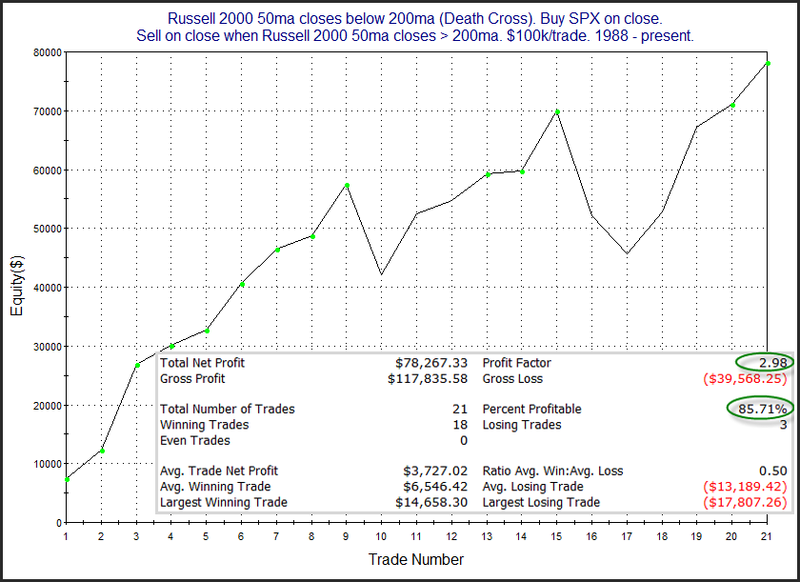 The numbers suggest perhaps a mild inclination for the market to “celebrate” the results on Wednesday. After that there does not appear to be a strong tendency in either direction. 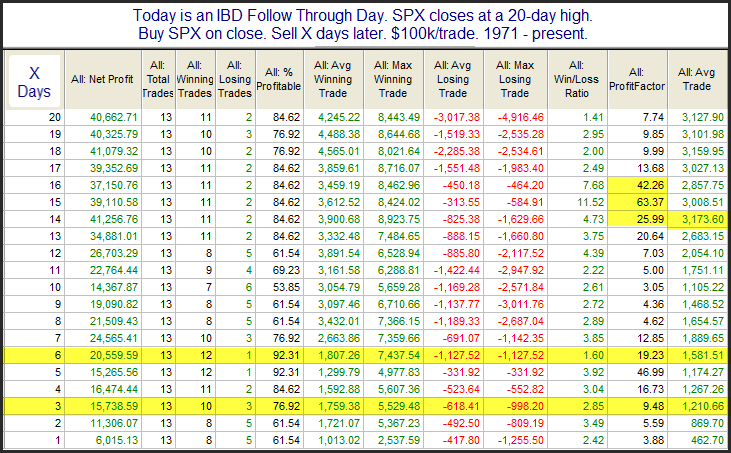 Below are the 1-day instances listed out for those that are interested. As we approached the close I noted on Twitter (@QuantEdges) that the Quantifiable Edges Capitulative Breadth Index (CBI) was starting to spike. And the closer we got to 4pm EST, the higher it got. 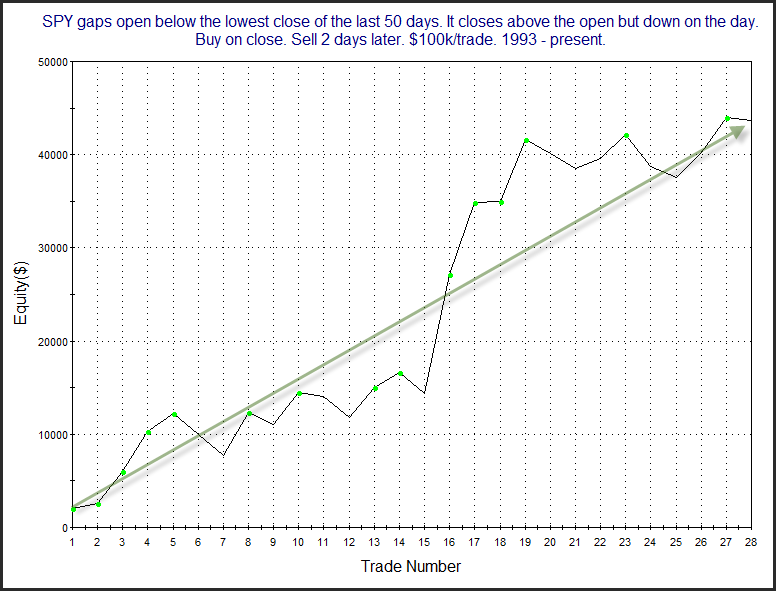 At the end of the day, the CBI finished at 10, which is a level I have long considered bullish. 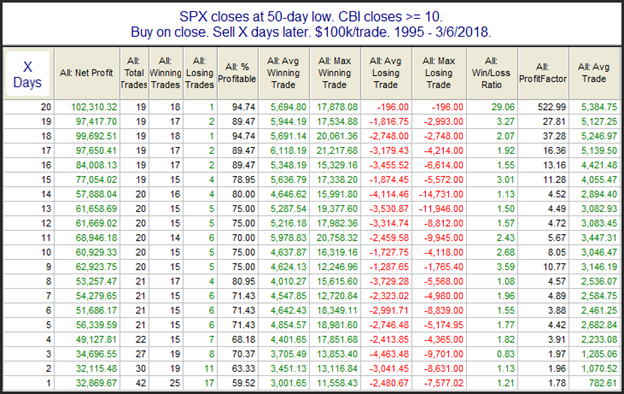 The combination of a 10+ CBI and a 50-day closing low is something I have shown in the past to be bullish for both the short and intermediate-term. 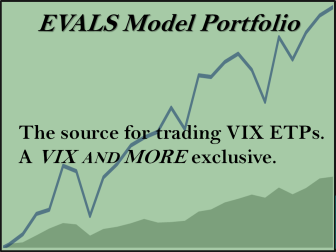 The study below is taken directly from the CBI Research Paper, which I recommend checking out if you have not read it before, or reviewing some of the tables and charts to get a deeper understanding of market action both during and after such broad, strong, selloffs as we are currently seeing. These are very appealing results, from Day 1 right through day 20. 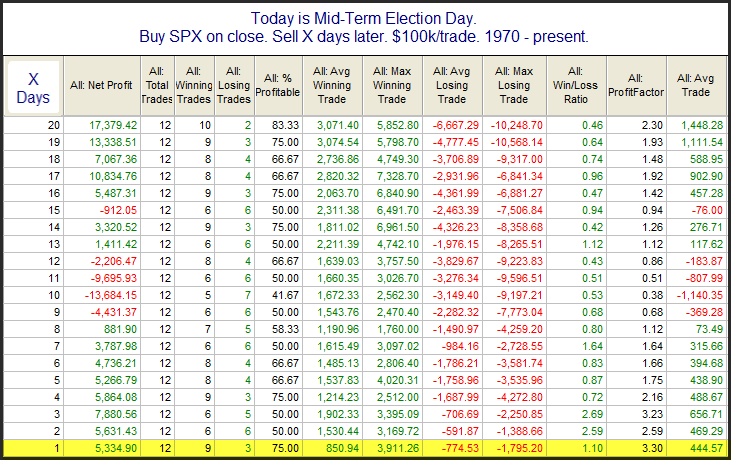 And 20 days out there was just one loser and it only lost 0.2%. Meanwhile, the average gain of the other 18 instances was a sizable 5.7%. The CBI is suggesting we are in a bottoming process right now, and that the market is likely to move higher in the coming days and weeks. 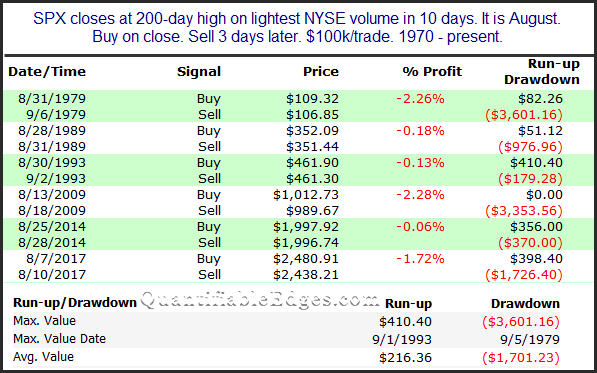 Update: Below is the full list of instances along with their 20-day returns for those traders that wish to see the details. 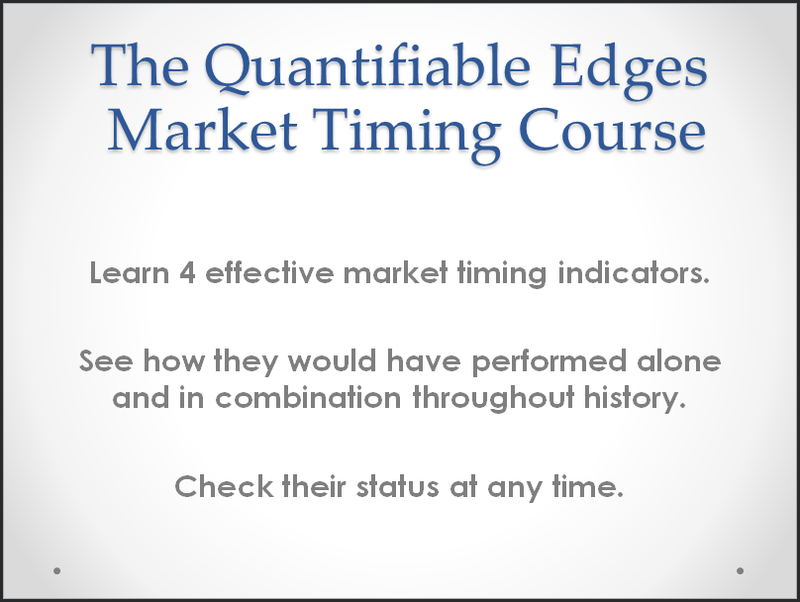 Strongly oversold markets often contain a short-term upside edge. Of course oversold can always become more oversold. Wednesday took the SPX down to a 50-day closing low. Additionally, many short-term price oscillators, like the RSI(2) showed extremely low readings. Further selling on Thursday meant another 50-day low and even lower readings. 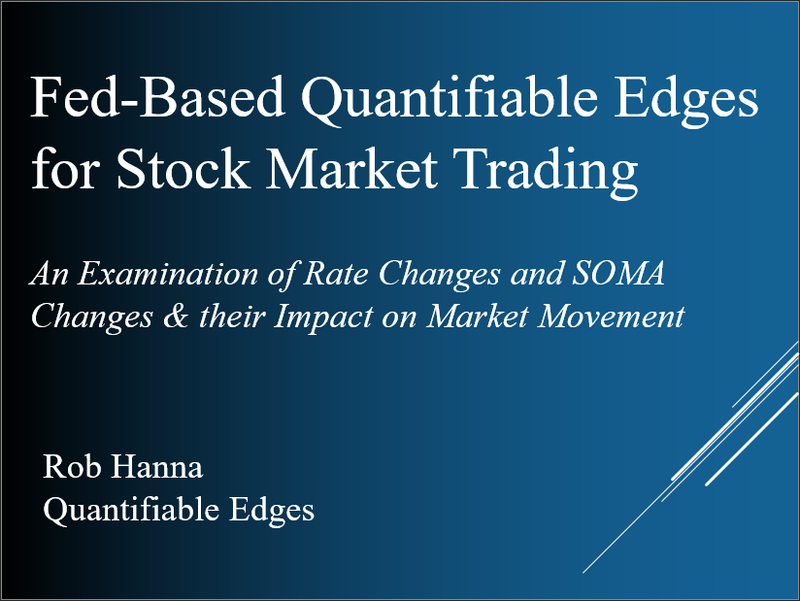 The study below appeared in the Quantifinder on Thursday afternoon. 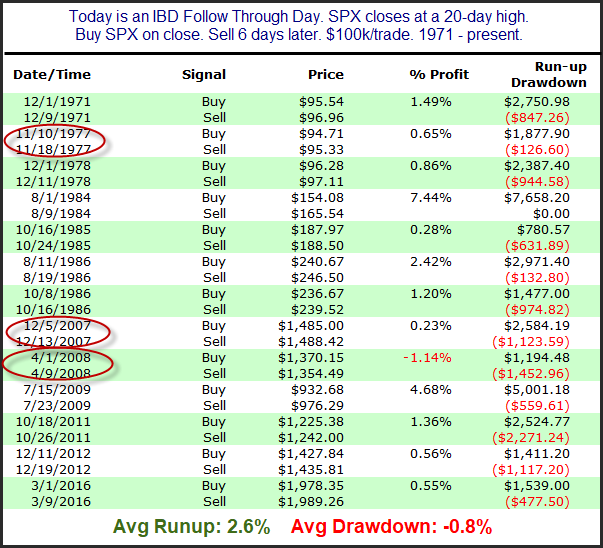 It looked at other times the SPX posted back-to-back 50-day lows and extremely low RSI(2) readings. 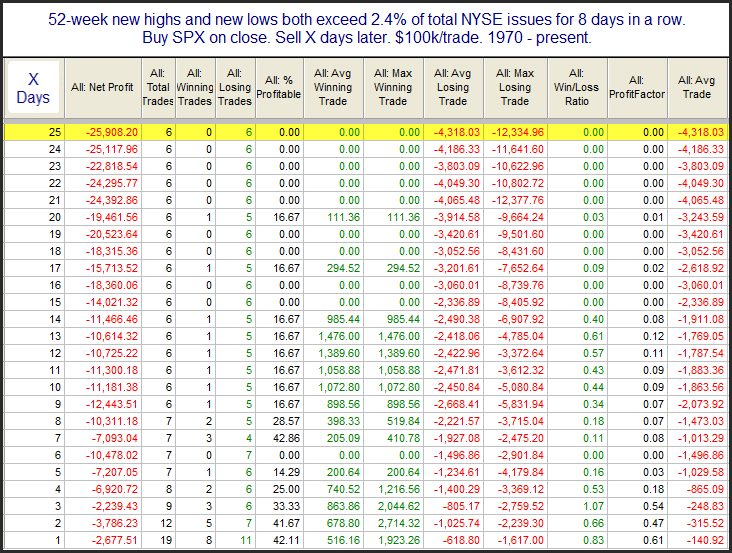 Instances are a little lower than I typically like, but the numbers are incredibly bullish and seem worth noting. I am seeing several studies right now all suggesting a bounce is highly likely in the next few days. This study is just one such example. It appears the lagging RUT in similar circumstances has not been a drag going forward, and that SPX has continued to flourish. 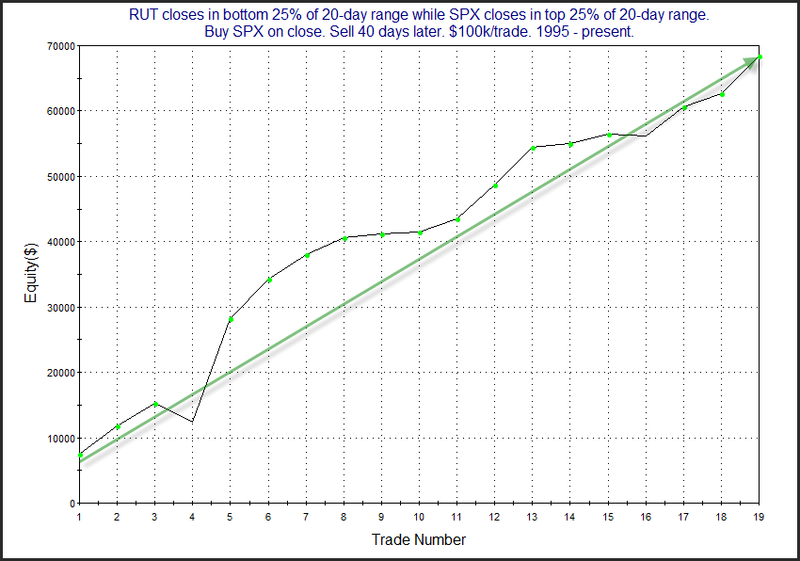 Below is a look at a profit curve with a 40-day holding period. The strong, steady upslope serves as some confirmation of the upside edge. This adds to the crosswinds I am currently seeing for the intermediate-term. Evidence seems to be piling up on both sides of the bull/bear debate. But this study is one for the bulls. 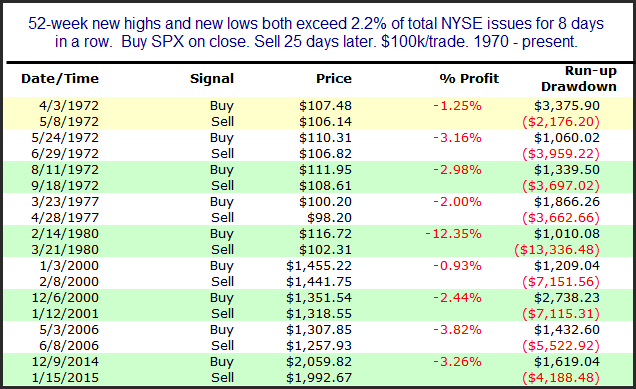 … But tonight I simply wanted to look at streaks of these type of split market conditions on their own. 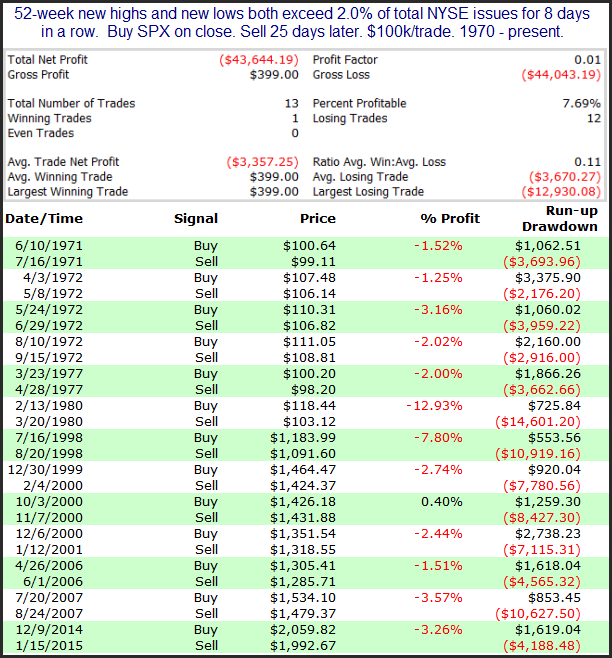 With data going back to 1970, I looked for other instances of 8 consecutive days with both new highs and new lows exceeding 2.4% of total issues. Results are below. 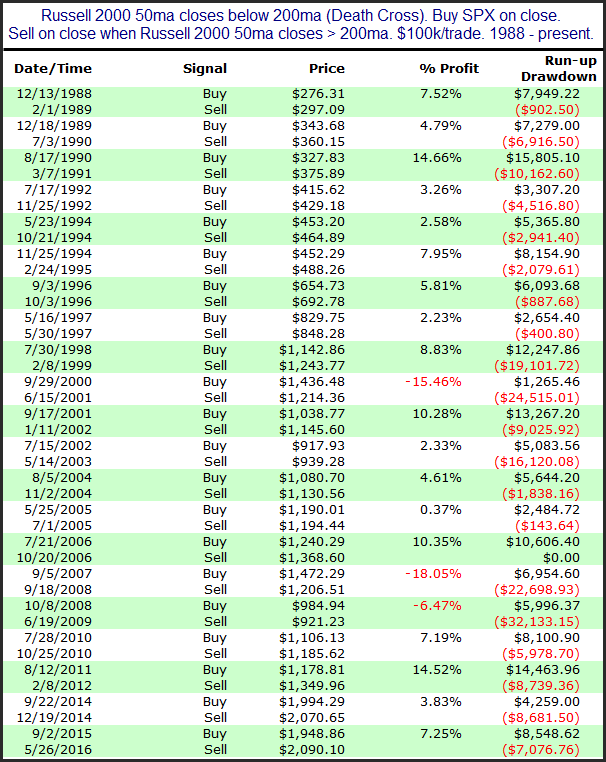 There have not been many instances, but the returns after the ones so far have been quite bearish. 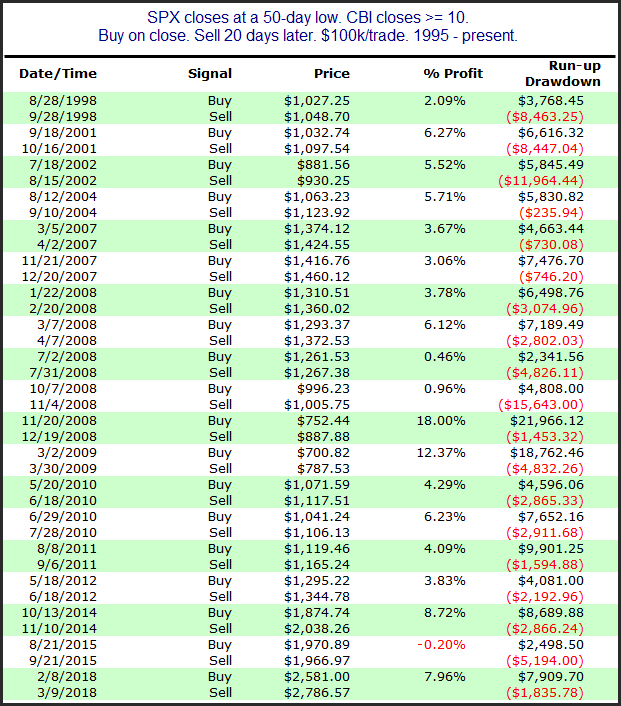 Below is a list of all the instances assuming a 25-day holding period. Three of the six instances occurred in 1972. So with just 3 instances since 1972, I am not using this study to generate short-term expectations. But I thought results were intriguing enough to merit a mention. I also reduced the % requirement to see if that would provide some additional instances. 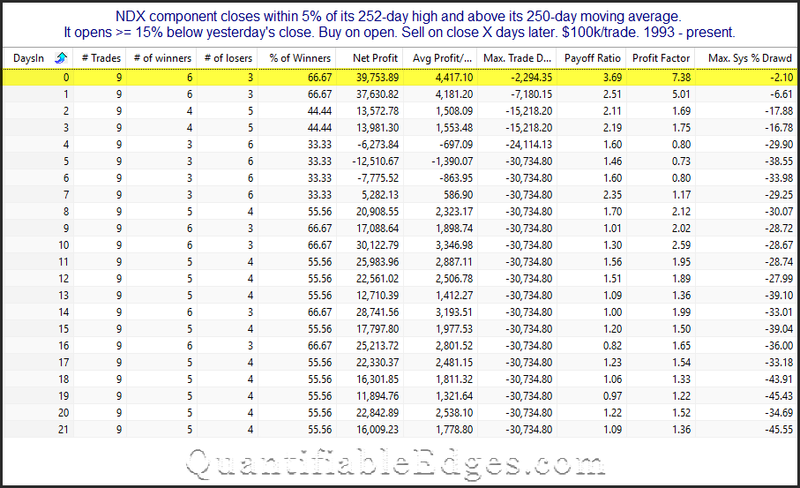 Below are the 25 day-results for a 2.2% minimum. This does not look any better. How about a 2.0% requirement? Even the lone winner here had an 8.4% decline before turning slightly positive. Bottom line appears to be that having such a split market as we are currently seeing is quite rare. 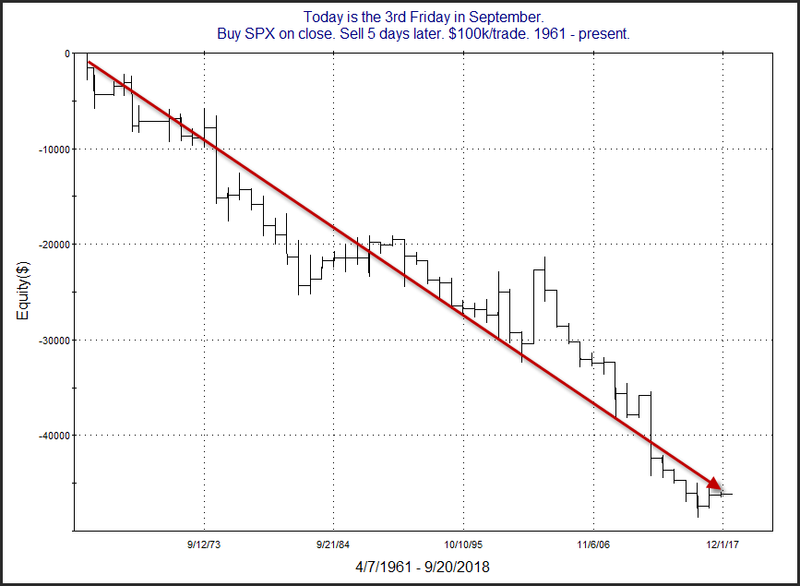 And historically it has not been a good thing for the market.